For the most part, the weather on my tour was spectacular. And while I can’t take credit for that, still, people thanked me for bringing sunny skies with me, wherever I went. In Seattle, I hit the city during one of the rare thirty days of sunshine (out of 365 days.) But not always. Heading to Miami, just as we were poised to take off on the runway, our plane turned around and headed back to the gate to get more fuel because a hurricane warning in Florida, which might force us to land elsewhere. (We ended up arriving okay, but we circled high above the Miami airport for a couple of hours, waiting for it to reopen.) Yet the next day in Miami, the skies were spectacular. And for my last city and stop of the tour, I had the pleasure of sitting on a green, grassy lawn at the Washington, D.C. farmers’ market, in the nation’s capital, signing books and chatting to shoppers, who were loading up their baskets with bunches of asparagus, strawberries, and radishes as well as first-of-the-season tomatoes and excellent cheeses. 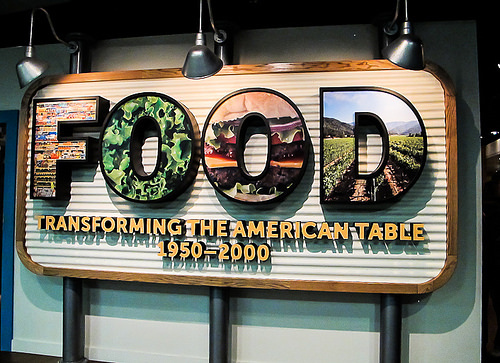 Since I miraculously ended up with a rare, free afternoon the following day, I hoofed it over to the National Museum of American History at the Smithsonian, to check out Food: Transforming the American Table, 1950-2000. 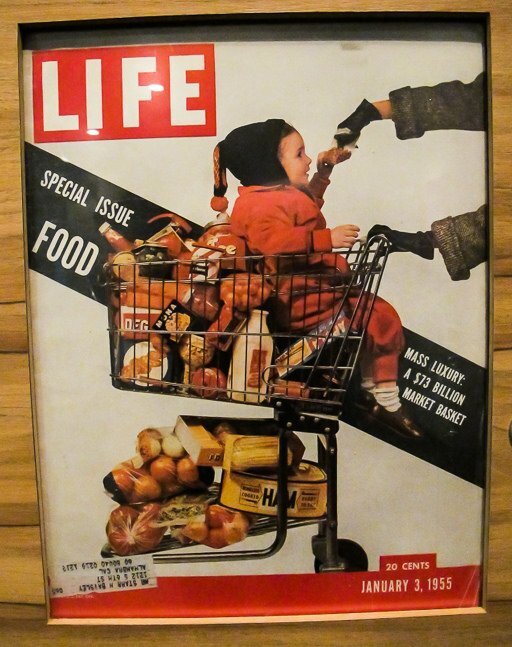 The exhibit highlights how American eating and shopping habits have changed during those five decades, and the museum compiled this retrospective to show the progression and evolution of the changes leading up to what shows up at the American table. 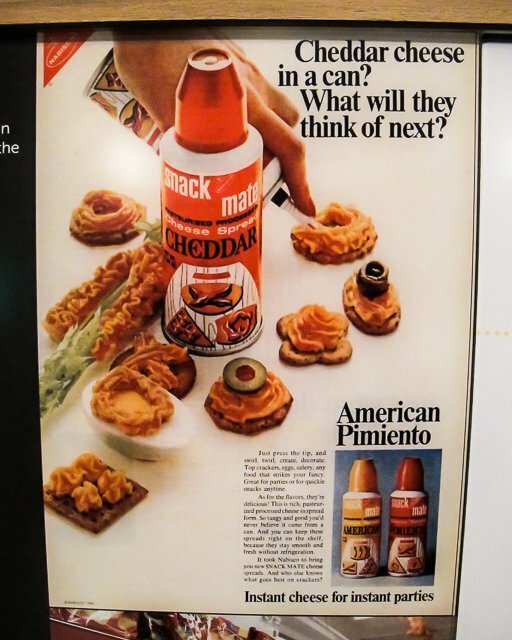 Beginning in the 1950s, snacking and pre-prepared convenience foods started to become popular, often in the name of “progress,” resulting in an abundance of food that was either cheap, or quick to prepare. Or both. Agribusiness became a much more important player in the way fruits and vegetables were grown and distributed, as we moved toward cellophane-wrapped produce, mechanical harvesters, relying less on independent farmers as the newer way of growing food was faster and cheaper. 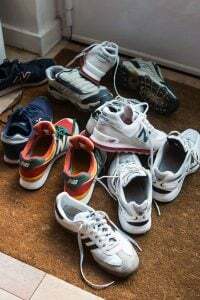 As a reaction to this, in the 70s and 80s, some began to rebel against this trend, which was responsible for a host of concerns in America, including health and ecological problems. 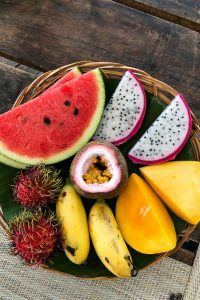 And as much as people like to deride places like Whole Foods and Starbucks, back in those days, it was a dream to supermarkets filled with fresh produce, organic meats, and dairy products. (I was living in upstate New York in the 1980s, buying produce from local farmers. But that was the exception.) And like ’em or not, before Starbucks existed, 99% of the coffee served in the states was diner-style coffee, sitting on a Bunn warmer for hours, simmering away to a black slurry in the bottom of the rounded glass pot. They got people used to thinking of coffee as something more than a black sludge to be tolerated. The food revolution of the 80’s really was a revolution, radically changing how we ate, and how we perceived food. In addition to collecting copper pots and pans (above), Julia Child also embraced the food processor, a machine invented in France, calling it one of the best culinary inventions ever. 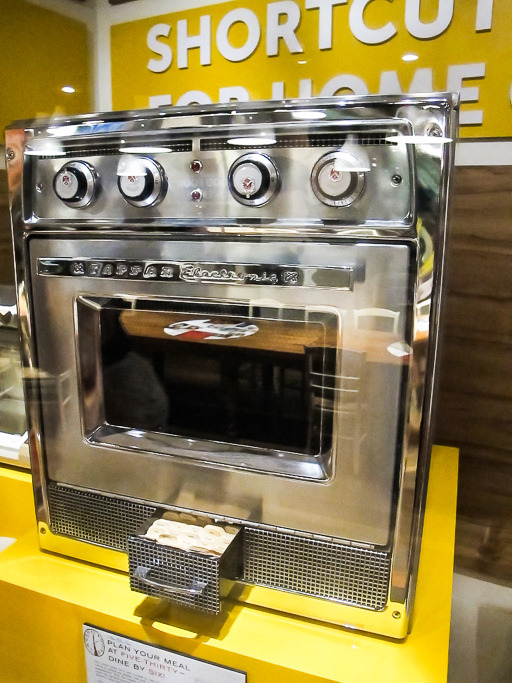 The microwave oven, well – she wasn’t as impressed with that. Here’s an early example from back in 1955, manufactured by Tappan. As the museum noted, “due to its steep price of $1,295, as well as customer confusion about how to use it,” it didn’t sell well. In her aftermath, an era of television chefs was born, and cooking shows proliferated. 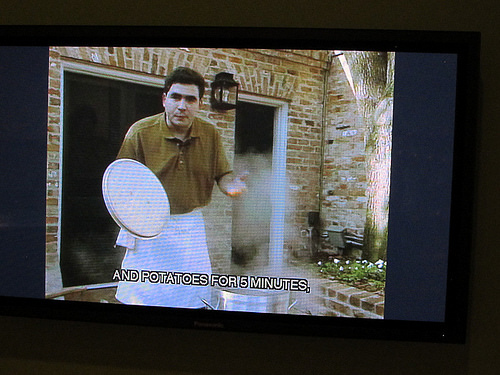 At the exhibition, you could watch not only old episodes of The French Chef with Julia Child, but other cooks and chefs in their youth, like Emeril Lagasse, whose New Orleans-based cooking reflects the melting pot of the American table. 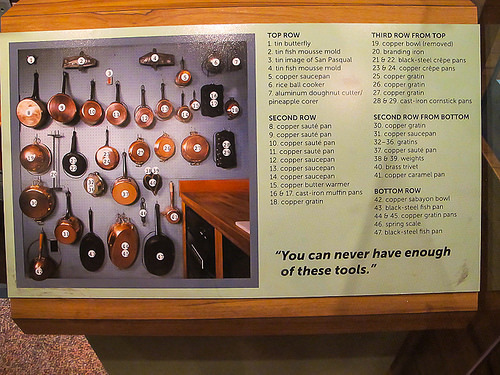 Other culinary machines allowed us to “cook, while the cook was away,” as the museum noted, with such tools as the crock-pot, patented in 1975. Additional innovations on display were Teflon non-stick pans, electric can openers (in avocado green), Corning Ware (oven-to-table cookware), Oxo tools, and one of the machines used to make “baby” carrots, developed in the late 1980s, to transform imperfect carrots into smooth, slender little orange bites, ready-to-eat. 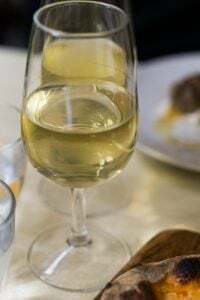 On the opposite coast from Julia, in Berkeley, the term Gourmet Ghetto, referred to the area around Chez Panisse restaurant, which was founded in 1971. (And recently celebrated its fortieth birthday.) 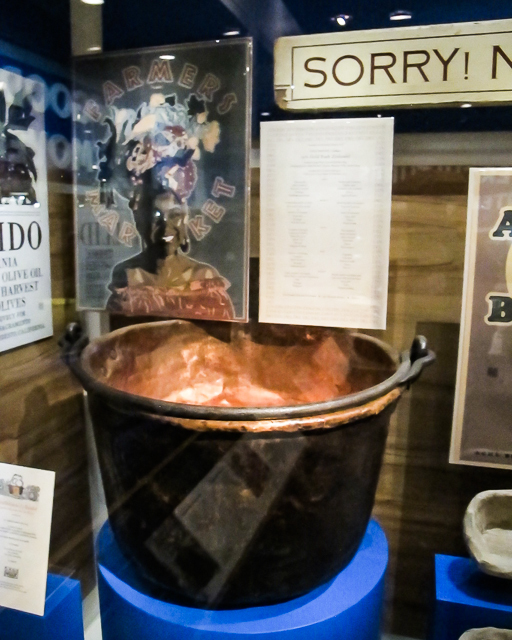 A copper cauldron was on display at the museum, which I remember eating bouillabaisse and garbure (Gascon duck stew) from, when I was working at the restaurant. Many culinary icons sprung from the area, such as Steve Sullivan, who was a dishwasher at Chez Panisse, who decided to spend his time late after the restaurant closed, making breads in the pastry ovens. 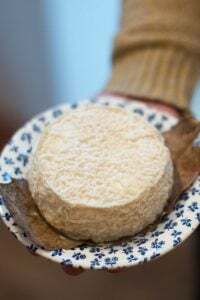 His breadmaking eventually became Acme bakery in 1983, turning out French-style pains au levain which could rival – and in many cases, beat – the best breads in France. Also in the area was Peet’s coffee, founded by a Dutchman, which predated Starbucks, and was known for cups of rich, dark, European-style coffee. The Smithsonian catalog notes that in the 1960s, Mr. Peet was “shocked at the poor quality of American coffee,” and decided to start small-batch roasting his own beans. Locals in Berkeley, that frequented the place, were called “Peetniks,” and three of them went on to establish Starbucks. 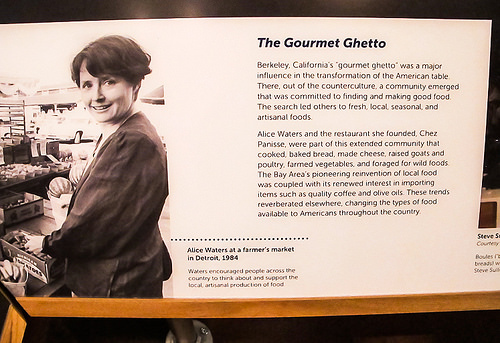 And of course, there is Alice Waters of Chez Panisse, whose insistence that we take more time to shop, cook, and eat, changed the American table as well, by turning the focus to fresh, locally sourced, and organic ingredients. 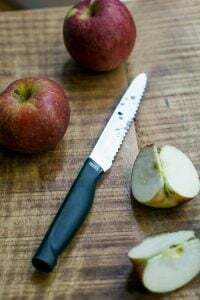 Consequently, there are over 3000 farmers’ markets all across the United States, from small towns in the midwest, and cities like Washington, D.C. and Los Angeles, and even a sprawling Greenmarket in the middle of ultra-urban New York City. 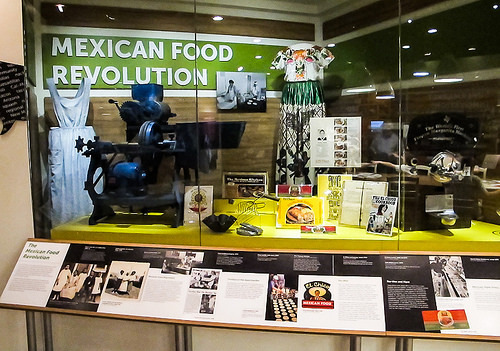 A separate showcase highlighted how Mexican cuisine has become mainstream, and foodstuffs like tortilla chips, salsa, and chiles, are readily available in America. And many of the dishes common to Mexican cooking have been integrated into our culture, perhaps more than any other cuisine. Seeing the exhibition was a great way to spend my last day in the United States, reflecting on where we’ve been, and how far we’ve come, in the last few decades. If you can’t make time to see the exhibition in person, as I was fortunate to find the time to do, there is an excellent online exhibition with photographs, artifacts, and additional information, you can check out. On a related note, I’d like to thank everyone who came to one of my book events and signings to say hi. It was my first full-on book tour and I covered a lot of ground in a month. (Friends who had done book tours told me I was nuts.) But in spite of the hectic schedule, and lots of traveling (and having to pick up an extra suitcase), it was great to meet so many of you in person. And while I wasn’t able to respond to all the messages, posts, tweets, photos, and messages, I’m glad that others had as good of a time as I did on my tour. Thank you for coming to Washington DC! It was great to meet you at Bucks Fishing and Camping. Despite the poor sound system, we were glad to hear from you, and frankly would have loved to have had more discussion–especially to hear more of your perspective on what is happening in food culture in Paris right now. We’ll have to look forward to more next time! I’m loving reading My Paris Kitchen and view it as a kind of novel with the added benefit of wonderful recipes! (especially Shakshuka, which I’ve been making since your blog post on it) and Chicken with Mustard. Thanks again. Was glad you came and that was a really fun evening. At restaurants and similar events, it’s really difficult to hold discussions (I held talks in other places, those that had seating specifically designed for that) – and most people were hungry! Plus, as mentioned (and, as demonstrated) microphones have a mysterious way to misbehaving when they come near me. Am glad you’re enjoying the recipes at home and thanks for coming to the event! Thank you for walking me back through time. Hopefully we have learned lessons from our past mistakes. I hope and pray for the day we revel in the beauty of the farm-to-table experience once more. If we plant, share and teach, we may one day realize that we have not lost ourselves to the likes of convenience, nor allowed Monsanto to take over what nature has gifted us. To the naysayer I simply request you plant one organic seed, and in doing so, encourage others to do the same. Let us feed the hungry and stop the tragedy that sits at our doorstep. “Where have all the bees gone?” Will no longer be our question. Let us reclaim what corporate America wants to control. I’m on my soapbox, David. My apologies for using your doorstep, but how could I not? This post has brought us back to square one. A very important place, one we should not forget, but the roots of which we must expand. Great post! I can’t believe I was at the Smithsonian last month and missed this! So many things to see in D.C., but I would definitely have made time for this had I known it was there. Next trip…. When I told some friends in DC about my visit, one said that the café at the nearby National Museum of the American Indian of the Smithsonian has a cafe/restaurant, Misitam, that serves “indigenous food from the Western Hemisphere”, that sounded really interesting. Would have liked to have gone there as well. David, It was so nice meeting you in person at Bucks. Thank you again for signing my book. I am almost half way through reading your book! Glad you had a second suitcase to carry all the goodies back to Paris! It was great meeting you at the Dupont farmer’s market on Sunday! Thanks for pointing me towards the farmers for recipe ideas – I collected beautiful ingredients for a salad for a few lunches and am making a rainbow chard and pasta dish I would’ve never dreamed up myself for dinner. I only found your blog at the end of last year (and started at the 2009 posts, to relive my 7 months studying abroad) and although I’m still a novice in the kitchen I’ve already learned so much from you about good ingredients, simple preparations, and better techniques (a nice departure from my former favorite technique, “let’s burn it”). Thanks again for coming out, you’re always welcome back in DC! I married in 1975 and became an official foodie. Today in the middle of America, I belong to a CSA, shop organic and local, buy artisan bread made locally and kitchen tools and cookbooks are only a click away. Strangely as food has become more local, local kitchen shops and and bookstores are becoming scarcer. BTW, I finished The Sweet Life and all I can say: it’s time to call Nancy Meyers and turn your story into a movie. Beautiful backdrops of the San Francisco food revolution, great kitchen scenes, loss and love refound…in Paris, no less. Sounds like a winner. Glad that you found so much to love in DC which the rest of the nation seems intent on hating! Nice overview of the Smithsonian show! Thank god for the 80s food revolution that brought the notion of local + seasonal food into focus! In NYC the breadth of availability is even wider than just the main market (in Union Sq) — there are over 50 greenmarkets scattered across the city. Additionally, there are over 100 CSAs (community supported agriculture) throughout the 5 boroughs on NYC. I feel fortunate to live in a city with so many options for buying local food from small farmers! Once again, thanks so much for including DC on your book signing tour. Please include the DC area again on your next tour. It was so nice to meet you. 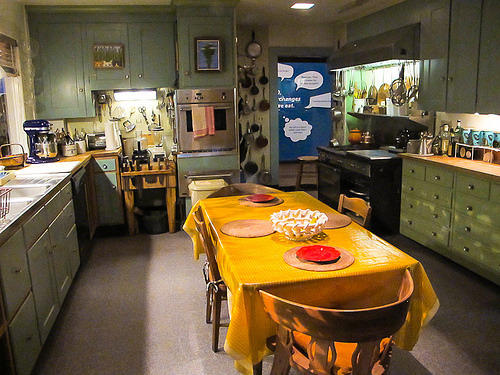 I’m glad you had time to see Julia Child’s kitchen at the Smithsonian which is my favorite part of the museum. The display was redone a few year’s ago to allow you to step into the kitchen by a few more feet which is close enough for better photos and allow you to read the book titles from her book collection. I can’t believe how many gadgets she was able to display on almost every inch of her walls and counters. Is your new kitchen larger than Julia Child’s kitchen? I am also curious to find out what new gadgets you brought back from the USA on this trip for your kitchen. Love the history here – I support farmer’s markets and enjoy cooking almost everything from scratch. It’s disappointing the majority of the general public don’t take an interest in healthy food production and home cooking. Hopefully through education and awareness more and more will come around. I loved your post today and have enjoyed all your comments re the different cities you’ve visited this last month. As I am from Port Townsend, wa (across the water from Seattle) I’ll not be able to see the exhibition in Washington, DC. So, thank you so much for the info. If you haven’t read PROVENCE 1970 by MFK Fisher’s nephew, Luke Barr, I think you might greatly enjoy, especially after just seeing the exhibit. I’m so glad to have found you and your blog. I always look forward to reading you and feel a security now knowing that I have your recommendations for great eats all over my country and your adopted Paris. Thank you much, David. 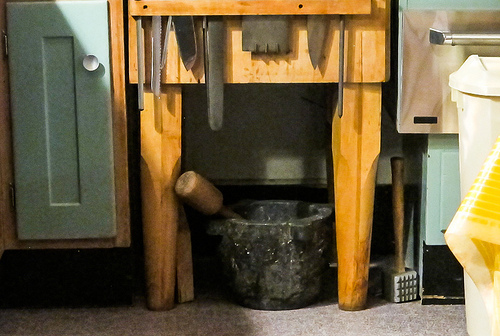 I love that exhibit at the Smithsonian – what a thrill it was to see Julia’s kitchen. 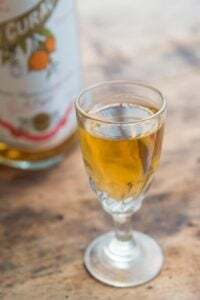 And I’m hoping to get to Chez Panisse this summer – can’t wait! When I was in sixth grade (circa 1965) in the suburbs of Detroit, we went on a field trip to a Mexican restaurant. That is how exotic it was back then. Of course, all we white suburban kids hated the food, especially the refried beans. The reason our teacher took us on that field trip is that her husband was a Ford Motor Company executive who went to Mexico to open a plant, and her family had lived there for several years. Next time, as the song says, PLEASE COME TO BOSTON!! Just worked myself all the way through the virtual exhibition – wonderful! Thank you so much for sharing this link – otherwise I would never have seen this documentary of American culinary history. Small cities like Santa Fe, New Mexico always miss out on tours like your’s but you are forgiven. 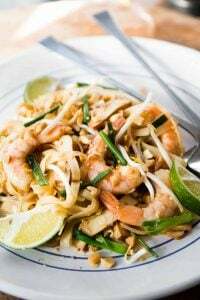 This post took me right back through my cooking past and it was a truly good trip- for that I thank you so much! Perhaps we will meet sometime, someplace in the future. I think we would have a lot to talk about. Your book continues to amaze and entertain me. Thanks so much. made the dijon chicken from your book….AMAZINGLY GOOD. and really so simple…loved it. Thanks for the history lesson. Thinking back to the late 60’s, there was another “Alice” here on the East Coast. She was Alice May Brock of “Alice’s Restaurant fame. While the Arlo Guthrie song certainly made fun of certain modes and standards of the era, Alice Brock wrote a wonderful and informative cook book that was based on “farm to table” food and using local, fresh ingredients. Her recipes weren’t fussy in the slightest, but she clearly held a healthy respect for good cooking and entertaining. She took the mystery out of cooking for a young person like myself living in NYC. To this day I use a few of her recipes. Robert: Yes, the economics of a book tour usually dictates where authors go. (Plus, I didn’t realize this, but some cities are better for cookbook authors than others. A friend of mine went to a couple of cities and had nice turnouts. Then another one, which is quite known as a culinary destination, only had 4 people show up.) But if there is a venue that is interested in having someone come, they can always contact the publisher, since they decide where authors go. sonya: NYC is a great example of how, even in the midst of a very urban center, there can be great food from local farmers available. And it’s nice to see the other ones springing up as well, too. Does the exhibit include Hamburger Helper? 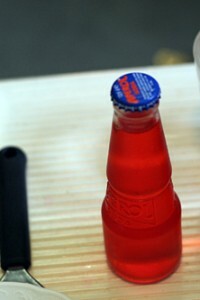 That was a staple of my childhood. 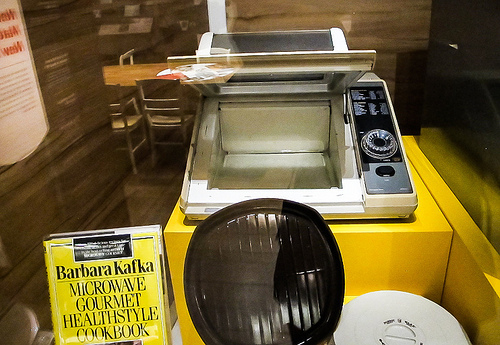 Man, that first microwave is scary-looking. Sadly, the one exibition I mist when I was at a reseption at the Smith – why place it after all the drins? Thank you, David, for taking the time throughout such a hectic schedule to write so beautifully about the book signing tour. Loved every read and every photo posted on Instagram. 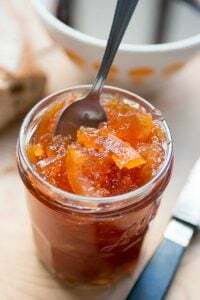 But by far, this posting was my favorite as it took me back to my childhood and teen years in the late 1960s when I embraced Julia Child, cooked (often experimented!) for my parents, and realized what a wonderful language food is. No matter where I’ve traveled around the world, and whether I spoke the local language or not, food was the common “language” for new and old friends. You are, indeed, a great ambassador for food and cooking! Wow, some of this really took me back! 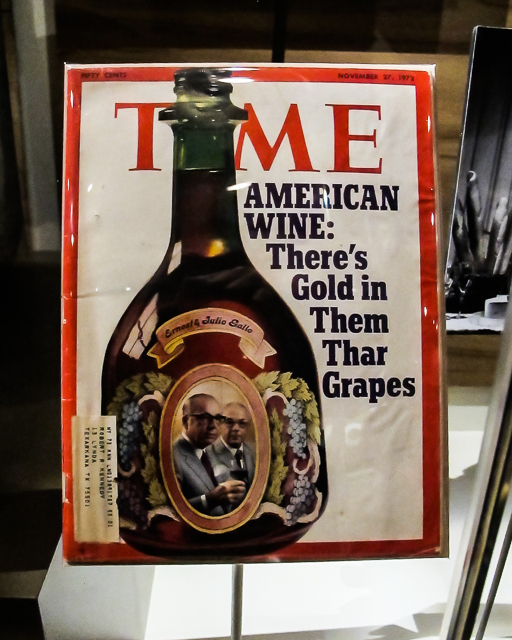 Thanks for the info about another great Smithsonian exhibit. And thanks too for continuing the Seattle weather myth. Our weather is universally thought to be rain all the time (so not true) and that error keeps more people from moving here. :-) We appreciate that. Back in 1996, the Lehigh Valley in Pennsylvania was still a culinary desert. The grocery stores’ idea of fancy Christmas baking was to put green and red food coloring in their breads, cakes and cookies. But in 1997 Wegmans arrived, then the Foodnetwork and wonderful blogs like yours. And everything changed for the very best. I only wish there were David Lebovitz book signing events at Wegmans, your kind of grocery stores. I think if I had to lie in bed and watch, “The View”, I’d call down to the front desk and get them to send up a t.v. that didn’t work. But those Japanese donut shops sound absolutely scrumptalicious! Thanks, David, for the wonderful pictures and story. It really took me down memory lane. I second MsMora. 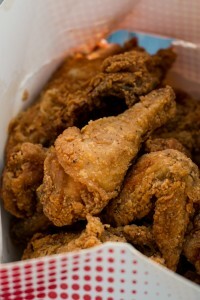 No matter where you may be you can always engage in a conversation about food. It is the universal ice breaker even with those very, very rare people who don’t like to eat. I am sorry to have missed you on your tour. 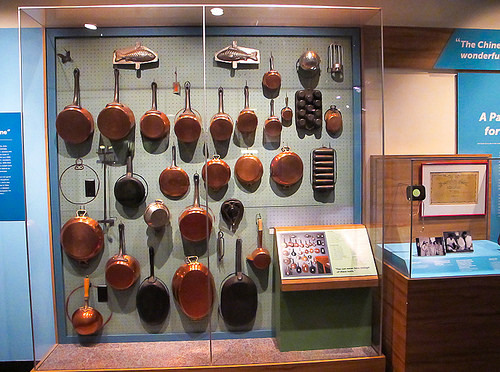 However, i just have to say, I went to the Museum of American History last year, and i think i probably stood in all the various nooks and peek-holes into Julia Child’s kitchen for a solid 45 minutes. It was so exciting. It is probably a really good thing it’s encased in plexiglass. Um…I don’t know about the crockpot being patented in 1975. I was married in 1955 and I got a crock pot for a wedding present.I probably wouldn’t have bought one myself. But I learned to love it. And I still have it — and use it — today. There’s a pretty great history of the slow cooker over on Cnet. 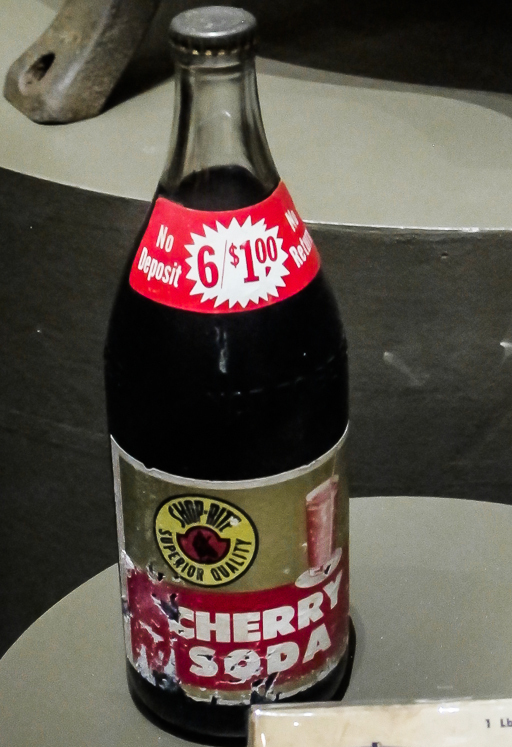 At the beginning, it was called a “bean pot.” Perhaps what the Smithsonian Museum is referring to by being patented in 1975, was by a certain brand or company. Or that’s just the year the object was actually patented, but not invented? So hoping you would come to S.E Asia for a tour too! The cafeteria at the National Museum of the American Indian is well worth the visit because of the indigenous foods featured there! Thank you for showing so much detail – great for those of us unable to go ourselves. Almost as good as being there! Thank you so much for visiting DC on your tour. The dinner at Bucks was both delicious and interesting. I wish there had been more time to talk – it was pretty noisy. 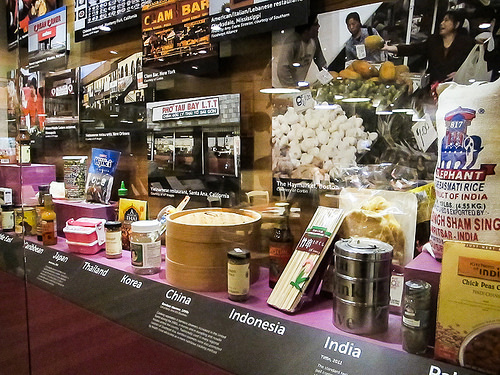 Next time you’re in town, my husband and I would love to give you a behind the scenes tour of Mitsiam Cafe at NMAI. We work for the same company that operates the cafe and know the chef well. We are thoroughly enjoying the new book! I was fortunate to visit the Food exhibit in February. It was interesting to see the juxtaposition of what Julia believed in and what big business wanted the consumers to believe. So glad that you, as a member of a select few involved in the movement toward better eating, were able to view this exhibit. I too wanted to enter Julia’s kitchen and fiddle with her stove and run my hands across her counter tops. I am looking forward to purchasing your latest book. Hope to see you some day at a blogging convention. Always think of how in the US processed foods were the ‘thing’ to buy a couple decades ago because they were new and convenient and fancy and now we have completely reverted to natural is best. And with microwaves that scene with Jennifer Lawrence in American Hustle haha. David, great dinner at Buck’s. Here is our review of the book with dinner highlights. Good point about Whole Foods and Starbucks. And I’d bet that in upstate New York in winter you would have been very happy if there had been a Whole Foods nearby …. I’m so glad you got a chance to visit this exhibit – I thought it was very interesting! And since you liked that, you might also like something I just discovered: http://historysjustdesserts.com/. Amanda Moniz writes about history and baking, and how one influences the other – she has some really neat stories. Will be in DC in the summer and will be making a beeline for this exhibition. Thanks for writing about it. Hope to be able to get to the market too. 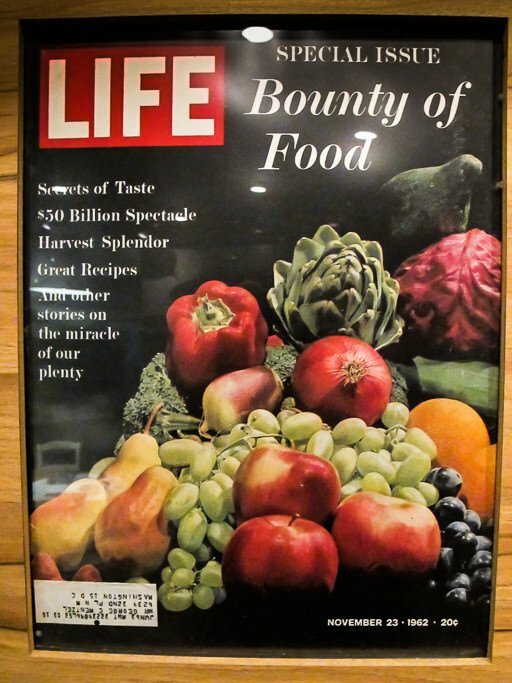 What a great write-up of the exhibit and so fun to see pictures of Julia Child’s kitchen. 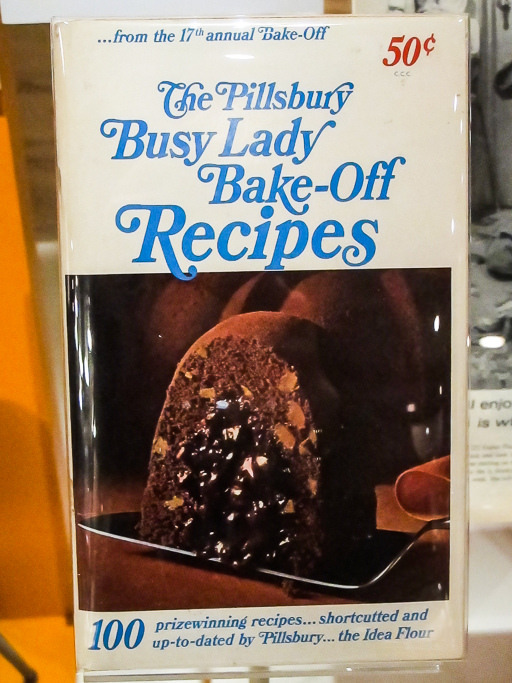 Last time I visited DC was two years ago and the museum was creating and updating this exhibit, so Julia Child’s kitchen wasn’t on display (the one thing I wanted to see…).